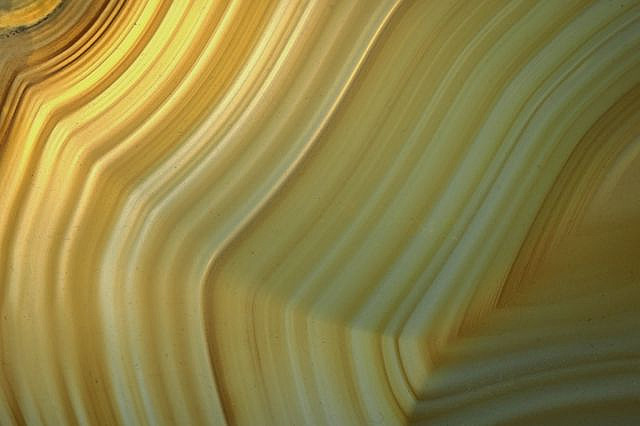 Agate with characteristic bands or rings; photo by Rex Turganoon on Flickr (noncommercial use permitted with attribution / share alike). Agate was originally designated the state gemstone of Louisiana in 1976. In 2011 Act 232 of the Louisiana legislature amended this state symbol to henceforth be the state mineral. The same act specifies a new Louisiana state gemstone: "... the cabochon gemstone, derived from the Crassostrea virginica mollusk predominantly found in the waters of coastal Louisiana."